My name is Marti. I'm an accounting student at Mcneese here in LC. Toki is me and my boyfriends first corgi. I have loved the breed for as long as I can remember and am so happy to finally have a corgi buddy. She goes everywhere I go, we have he best adventures together. We took Toki to Cleveland, TX last weekend to visit her family and for me and my boyfriend, Cody, to meet her parents for the first time. It was a great trip, I know Toki had a blast and my breeder shared so many wonderful tips on corgi raising with me. We also found out her dad has minor allergies and she recommended a few things for me to try. I'm entering Toki in a contest to become our local pet stores spokes doggie. I have to enter one picture that will be voted on. Out of the thousands of pictures I have I was able to narrow the selection down a bit. Can I get some help choosing please? I wish I could just send a portfolio! Toki is just beautiful. 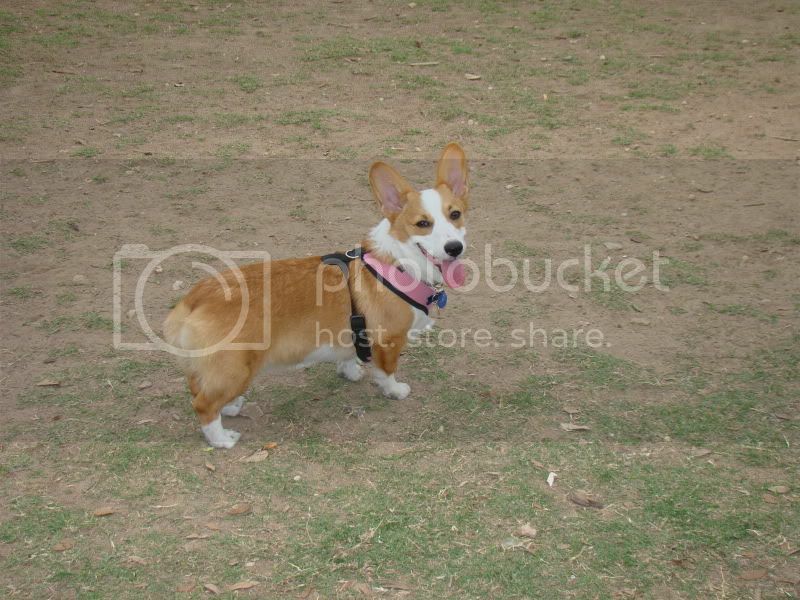 We also got our Corgi from Pam. Mine is named Yogi and he is one big ball of fire with plenty of energy! It was wonderful dealing with Pam. She was great! My son also got a Corgi from her which is Brent and Marilyn's Corgi. We are both very pleased and we both are enjoying this site! Nice to meet you! Hey Marti, how are the accounting classes going? Neville is ready for a playdate! <-- Ashton says: HAPPY BIRTHDAY!! !